We are revitalizing 60 acres of land to transform the area into a vibrant town center supported by high-quality infrastructure, specialized industries, entrepreneurs, and artists. We create places that improve residents’ quality of life and support a strong local economy. 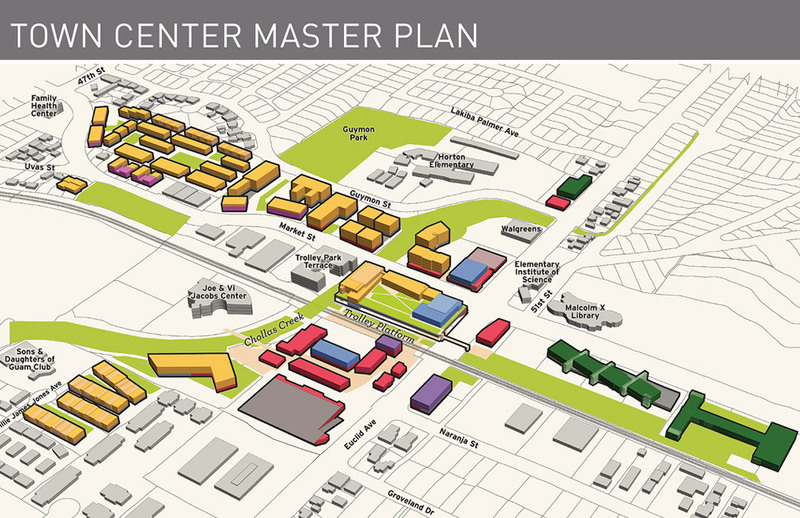 Working with national planning and architecture firm BNIM , the Jacobs Center created the Town Center Master Plan to inform future redevelopment work. To engage with the community and align the Master Plan with community interests, more than 1,300 residents provided their input through a survey. 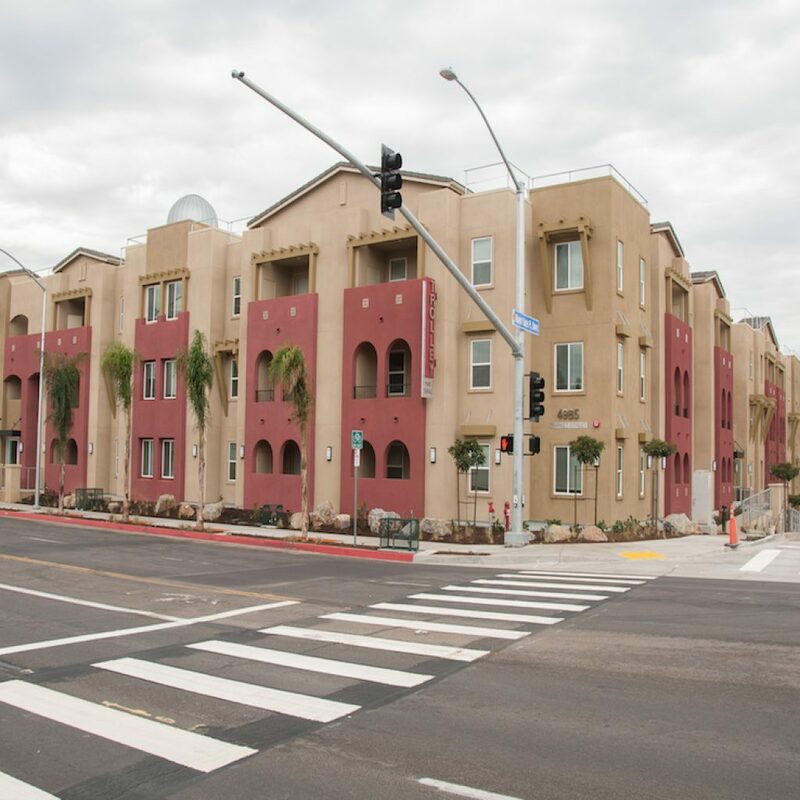 The Master Plan conforms with the recently updated Encanto Community Plan, the community’s roadmap for its future development. 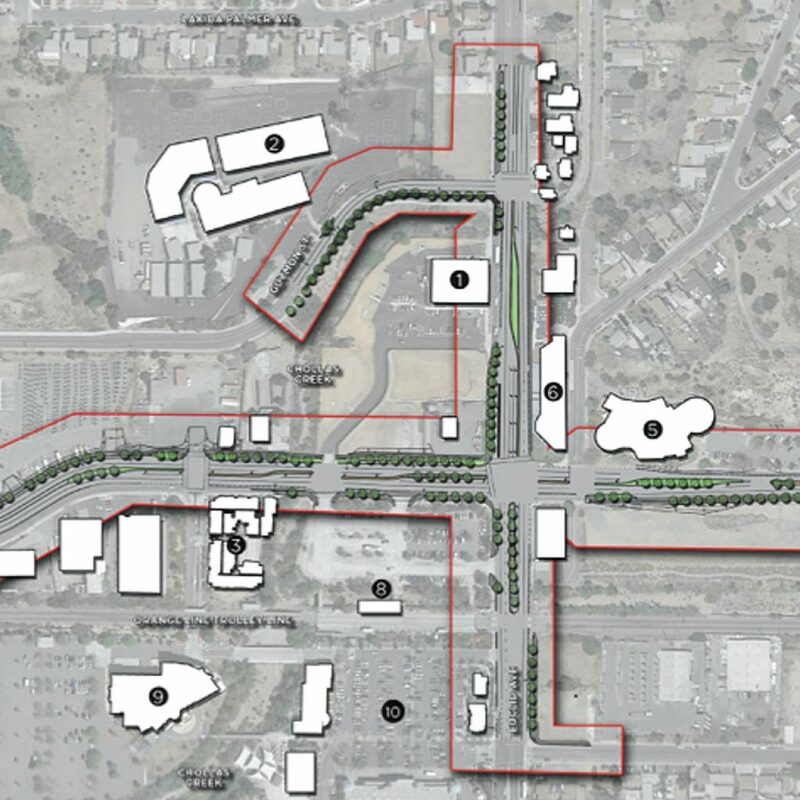 Learn more about the Town Center Master Plan and see the results of the survey here. See how we engaged the community on the Town Center Master Plan survey in the video below. The Complete Streets Project will upgrade Euclid Avenue, Guymon Street, and Market Street in the town center. We are partnering with the City of San Diego to encourage active modes of transportation in the community, such as walking and bicycling, as a way to connect the community to the surrounding neighborhoods. The improvements include new and expanded sidewalks, bicycle lanes, crosswalks, medians, street lights, landscaping, and curb extensions to calm traffic. The project is primarily funded by a $4 million Caltrans Active Transportation Program grant awarded to the City in partnership with the Jacobs Center. View the presentation shown at the Euclid & Market Complete Streets Infrastructure Project Information Sessions held on April 28, 2016 and June 30, 2016 here and a fact sheet on the project here. Our redevelopment work creates not only places for residents of the Diamond Neighborhoods to shop, dine, work, and gather, it also brings new places to live. Trolley Park Terrace is a LEED-Gold certified development of 52 apartment homes adjacent to the Euclid Avenue Transit Center. Completed in 2016, this transit-oriented development is an example of smart and sustainable building practices. To see the progress of the project, visit our Flickr album. 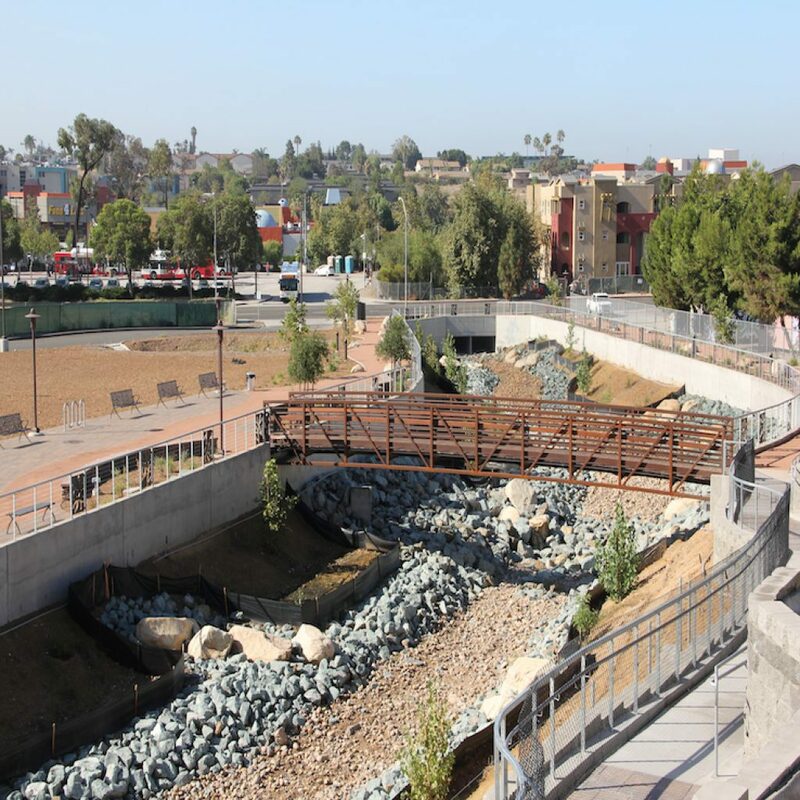 This project restored the natural beauty of a segment of Chollas Creek, an important community asset, and added a beautiful linear park where residents, students from nearby Horton Elementary, and visitors can enjoy the outdoors. In the near future, the area will be home to a new public art installation, The Chollas Creek Gateways, designed by local artist Roman de Salvo with funding from the National Endowment of the Arts. Photos from the Chollas Creek linear park grand opening celebration held on June 25, 2016, can be viewed in our Flickr album. The intersection of Guymon Street and Euclid Avenue is now your corner for happy and healthy! The Walgreens is now open, providing residents with convenient access to the first full service pharmacy in the community. Of the 15 permanent positions Walgreens hired, nearly all were filled by residents of the Diamond Neighborhoods. 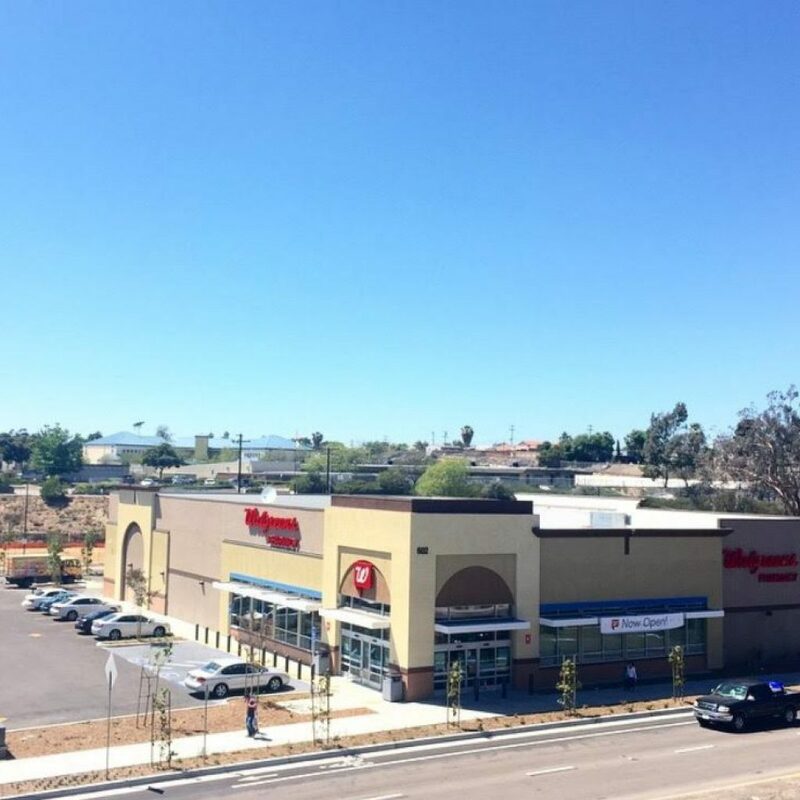 A video of the Walgreens grand opening celebration held on May 16, 2015 can be viewed here. Market Creek Plaza has been upgraded! It’s been more than a decade since we opened the plaza so it was time to reinvigorate this lively commerce and cultural center. 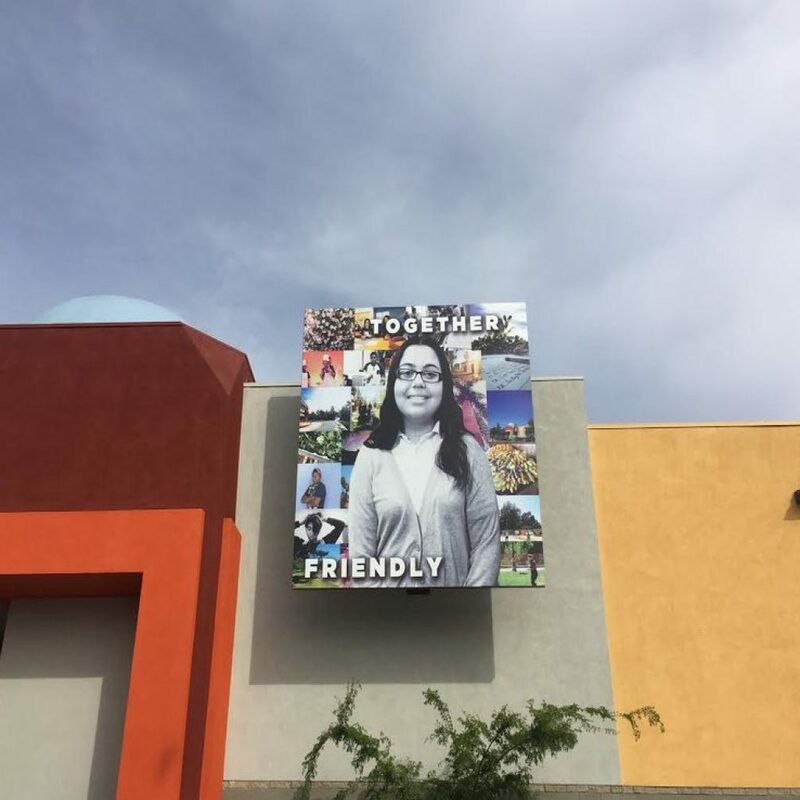 We re-painted the buildings, re-stripped and re-paved the parking lot, added fresh landscaping, and unveiled a collection of new murals created by the AjA Project and high school students from the area. Watch this video to learn more the murals in Market Creek Plaza and the inspiring story of two generations of Southeastern San Diego women connected to them. 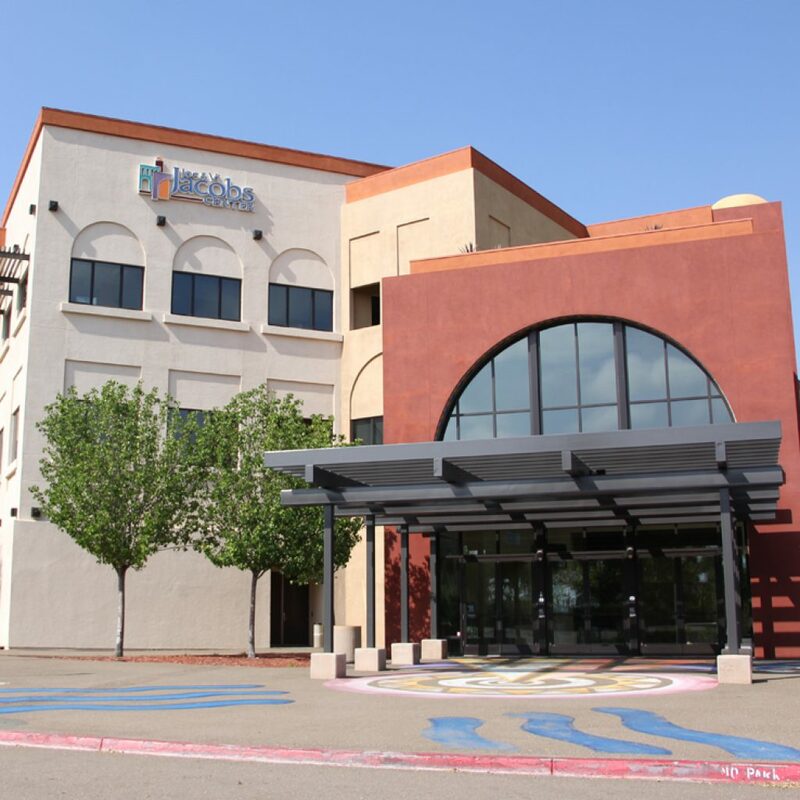 Built in 2008, the Joe and Vi Jacobs Center is home to many local organizations providing various services to the Southeastern San Diego community, including the Jacobs Center for Neighborhood Innovation. The Jacobs Center serves as a space for community members and organizations to hold meetings, workshops, and special events. 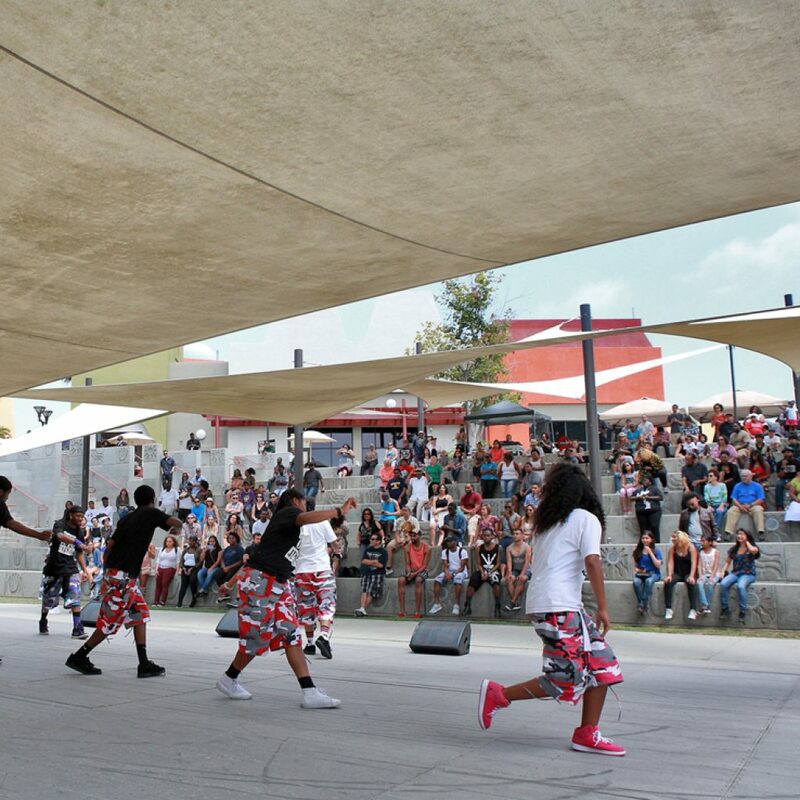 Throughout the year, the building also hosts artistic and cultural programming that reflects the many cultures in the community, providing an extraordinary place for residents to enjoy the arts in their own neighborhood. The Joe and Vi Jacobs Center’s beautiful outdoor amphitheater and adjoining Festival Park host a wide range of events, including musical concerts, theatrical performances, festivals, dance concerts, film screenings, and more. Accommodate a group as large as 3,000 people, these venues provide the community with an activated space for enjoying arts and culture with their neighbors, friends, and family.